Series Three begins in Anaheim, California this December. Join us! That’s right — we’re back at it again with another set of PlayStation Collectible Cards! This is our third year dealing out these limited-edition, foil-embossed beauties, and the only way you can get your hands on them is to shuffle on over to PlayStation Experience 2017 in Anaheim, California on December 9 and 10. We wrapped up Series Two with card #75 at the Road to Greatness tour and #76 at E3 Experience . 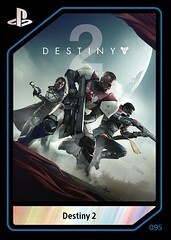 Series Three will start with #77 and contains around three dozen new cards, all of which will be released at PlayStation Experience 2017 in Anaheim, California this December. 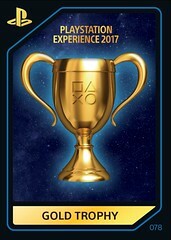 Attendees will also get the chance to earn PlayStation Trophy Cards by completing certain quests at the event — find out how via the Experience PlayStation app once the show starts. Your Bronze Trophy card is already “in the bag” (meaning you’ll get one just for attending — it’ll literally be in your gift bag). You may be asking, “How can I get the rest of the cards?” The answer is simple (sorta). They’ll be located at certain locations and booths on the show floor, and you might even need to play a demo to earn some of them. Which locations/booths/demos? Well, you’ll need to figure that out on your own. Don’t worry, I believe in you (and reddit). Cards are free for any PlayStation Experience attendee, while supplies last. Don’t forget: PlayStation Experience 2017 tickets are available now. See you at the show! At this point, it will never happen. I would like to see more remasters/ports. Hey, maybe even say something like PS5 will play PS4 games. If anything, they’d probably announce B/C for PS1/PSP titles in emulation, but I couldn’t imagine more than that. Still…I doubt it’s coming in mass, if at all. You’ll never get them all having to wait 1 or 2 hours per game to try a demo. Some people in the booths treat them like gold too. Its like they don’t want to give them out. Lol That said I have an decent collection. Will you sell PSX2016 cards in a pack like you did last year with PSX2015’s? My binder looks… inadecuate with some cards missing. I’m eager to complete my collection. bring it back to the bay area where it belongs. We are due for an announcement from Sucker Punch Productions. Will it happen then? Most big AAA exclusive games have already been announced (Last of Us part 2, God of War, etc. ), but maybe announce smaller exclusives then? More PS2 classics? Maybe Nier, Ni No Kuni 1, Red Dead Redemption remasters? Or a PS4 Portable (to replace Vita)) that will act like Switch (that would be my dream come true). I agree with your first sentence and question. Where the heck is SPP at? It is majorly disappointing going through a third E3 since they’ve released anything, still with no announcement. Especially when we’ve known about other games for years that still have no release dates. At least tell us what they’re working on at PSX’17. Pretty please? 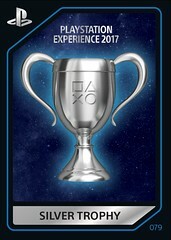 PLEASE let us be able to link our PSN accounts and have the PSX 20## event show up as an actual digital trophy list. The cards are always fun to collect but impossible to get them all. The app is fun and gets better every year, but always bugs out not letting you check in for certain prizes. But why not let people who attend link their app accounts to the PSN and earn digital trophies and platinum the event? 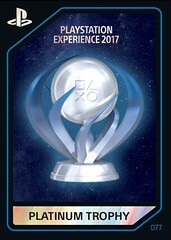 Or put a PSN store redemption code on the back of the trophy cards allowing us to redeem them online to give us a bronze, silver, gold and then platinum the event. 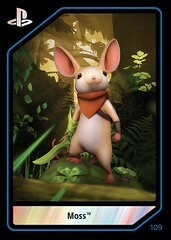 As a trophy hunter I think it would be cool to have a platinum for a real life event from PlayStation. It is not impossible, especially if you have friends helping out. I currently have a complete set of all cards, including Road to Greatness and E3 Experience, as well as a complete deck from Vegas 2014. It was extremely difficult, especially San Francisco 2015, but it is possible. I love the challenge personally. 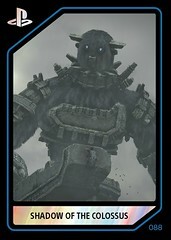 Having something exclusive that required a lot of effort makes having an complete deck worth it. Yeah I agree, It’s ridiculous that the trophies are cards and not on our profile. They have definitely heard us ask for it, and I’m sure several people internally came up with the idea too. But someone keeps nixing it. Whoever that is, please stop. You don’t need our PSN accounts to do the app rewards, you could easily tie a badge to the app without our PSN accounts. But you want our PSN accounts so you can see what games we end up buying after playing a demo and whatnot. Why don’t you actually provide us with something of value tied to our PSN account in exchange for us giving you that information? Like I don’t know trophies! I also don’t understand the lack of advertising for the event. I haven’t seen anything in my inbox, This is your first blog post since the on sale announce, and I haven’t seem although I’m sure you’ve done a tweet or two. You have tons of talented people working for you who are capable of creating and executing a year long marketing plan on a video game, yet with PSX you announce and then go radio silent until basically November each year. How do you expect to grow the event continuing to do things this way each year? Nice idea to encourage attendees to try out demos they might normally have not much interest in. Sometimes you don’t know what you might like until you try it. I hope it is more organized. I saw many attendees trading cards with the staff so they wouldn’t have to wait in line. Since we can buy previous years cards, I don’t hunt for cards anymore. I only got a couple cards last year because o knew this year I can buy the whole set, without wasting my time trying to hunt them down. Yes! I am so ready for this! This was so much fun last year! There were a few cards i missed, but it was worth it! It got me to try a bunch of indie games that i might not have tried normally. Any word on if single day tickets will be sold?